Satellite’s Young Leader Program offers unique opportunities for young people aged 18 – 25 (approx). 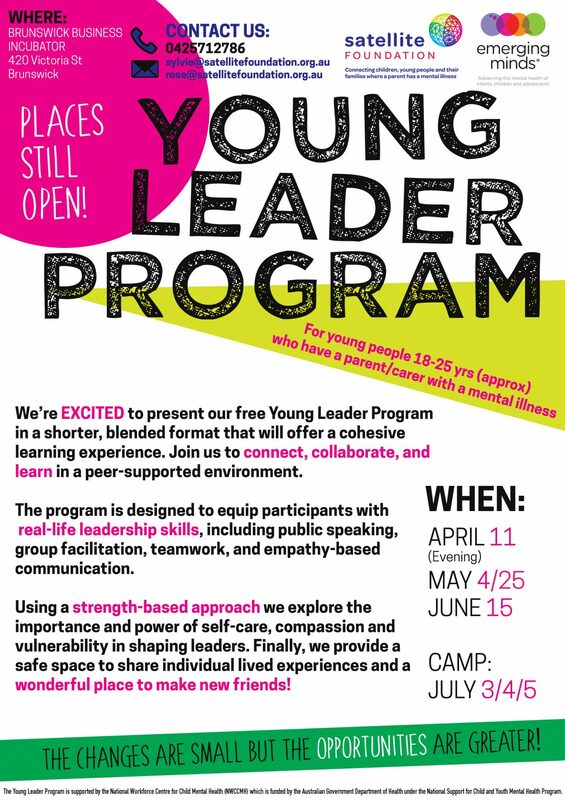 Running over one evening and three Saturdays (April-June) and finishing with a Leadership Camp the program is designed to equip participants with skills in leadership, public speaking, group facilitation, conflict resolution and empathy based communication. It is also a safe and supportive space for conversations about individual lived experience with others who may share similar journeys. There are still a few places left! Do you know anyone who might want to join us in 2019 and be part of the new Young Leader Program? Don’t hesitate to get in touch!